At Cilco Group Enterprises, LLC, we have experience handling all types of home improvement services for our clients located in Morris/Esssex/Union County, NJ. Whether you need general home improvements, remodeling, storm damage repair, or other contracting services, we can help!! Cilco Group Enterprises, LLC also provides Handyman Services. One Call Fixes It ALL. We are your one-stop-shop for all of your property maintenance and home repair needs. Our services are available to seniors, busy adults, home healthcare patients, realtors, and anyone seeking assistance with projects around their home. To learn more about how our Handyman Service can help you with all of your home repairs and maintenance projects on your growing “to-do list”, call us today at 973-332-4520 or email us at home [email protected]. Room Renovations and Restorations: Many a times, home improvements call for the renovation of rooms and other restoration services. As experienced home repair contractors, we are able to achieve timely turnaround on these types of projects while maintining high quality. Whether you are looking to finish the basement, create a mud room, redesign your closet or build that dream pantry, we can help you achieve your goals. Custom Cabinet Installation: We can install kitchen cabinets and bathroom vanities in a variety of styles. Landscaping, Tree and Retaining Wall Installation: Our home improvements also include a variety of landscaping services such as excavating or building and repairing driveways, patios, stone retaining walls, landscape design, hardscapes and privacy fences and other lawn services. Deck Construction: We can help design, build or rehabilitate all types of decks so you can enjoy the outdoors. When decks are properly designed, constructed and maintained, they can bring years of enjoyment and add value to your home. Flooring/Tiling: We can repair and install many types of flooring such as ceramic, marble, hardwood, vinyl composite, special flooring tiles, and more. We can also help you determine which type of flooring is best for your needs. Garage and Garage Door Repair: We can build attached and detached garages or handle garage expansion projects as part of your home improvements. We can also repair garage doors, roofing, and siding. A well-constructed garage can add to the appeal of your home by enhancing parking or storage space. Siding, Window, and Door Installation or Repair: Whether your upcoming home improvements include replacing old siding, windows, and doors or you simply need repair for damage, we can help. Wainscoting/Crown Molding: Wainscoting or Crown Molding is a great addition to any home. Adding this trim work in entryways, stairways, and living and dining rooms can add formality and character. It can also give an updated, polished look to bedrooms and hallways. Built-Ins: Bookshelves and custom woodwork offer a tailored solution to solve your design and storage problems. You can design and have custom storage that fits perfectly in your space and matches your home’s style. We can also creat entryway cubbies for your active family. Painting: Whether you need just the trim painted, one room or the entire inside or exterior of your home, we will be there from start to finish. We strive for your home to look exactly the way you envisioned it. Home Sale Staging: If you are selling or renting your house then mostly likely there will be some home improvements projects or maintenance that you will need to complete to get the most value on your property. We can work with you to improve your property's functionality and curb appeal. Handyman Services: We are your one-stop-shop for all of your property maintenance and home repair needs. Our services are as small as replacing lightbulbs, repairing unwanted holes in your walls, to remodeling baths as well as providing full computer and networking services. We are here to help you complete your "To-Do list". 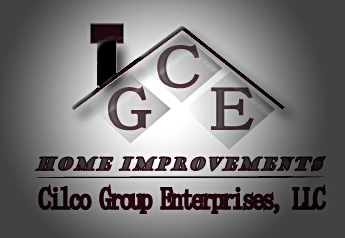 Contact Cilco Group Enterprises, LLC for all your home Improvements needs. At Cilco Group Enterprises, LLC, we have extensive experience in offering home improvements services, and we would be happy to share our expertise with you. We are insured and licensed in the state of New Jersey. To learn more about our services, please you call us today at 973-332-4520.